When Robert Gladden allegedly opened fire in the Perry Hall High School cafeteria he critically injured Daniel Borowy, a 17-year-old who suffers from Down's syndrome. Trish Smelser, of Baltimore, Md., met Borowy's mother, Rosemary, at a Down's syndrome support group when Borowy was 1-year-old. Smelser's daughter, who is best friends with Borowy and a fellow classmate, also has Down's syndrome. During the shooting at Perry Hall High School in the Baltimore suburb of White Marsh, Smelser's daughter was sitting at the next table in the cafeteria. She had her back to the shooter, just like Borowy. School aids pushed students under the table to protect them. Borowy's mother declined to talk with ABC News, but Smelser discussed the boy after speaking with the upset mom. Smelser was shocked when she heard about the shooting. "I was just dying for Rosemary and Daniel, feeling so bad," Smelser told ABCNews.com. "It's just a horrible thing to go through, but when you have a special needs child, it's just extra devastating. They don't communicate as well. It's just so hard." Although Borowy is still listed in critical condition, Smelser is confident he will recover because he is "so strong." "He's doing good. He's awake and he can wiggle his fingers and toes," Smelser's daughter, Stephanie, told ABCNews.com. Borowy suffered from two broken ribs and a bruised lung, she said. Borowy's mother is going to have a difficult time keeping him quit, Smelser said, because he is "very active." "He loves sports," Smelser said. "Anything with a ball is how his mother puts it. He loves music and dancing." Friends of Borowy are reaching out to Lady Gaga on Facebook and Twitter urging the singer to visit the 17-year-old because Daniel is a huge fan of the pop star. "He loves Lady Gaga. He has a suitcase packed and says he's going to go to California to marry her," Smelser's daughter, Stephanie, told ABCNews.com. Police believe when Gladden, 15, opened fire in the school cafeteria Monday he shot randomly and was not aiming for Borowy. Gladden was charged as an adult today with attempted first-degree murder and first-degree assault. He is locked up without bail at the Baltimore County Detention Center in Towson, Md., Baltimore County Police Chief Jim Johnson said in a news conference today. The sophomore left a grisly clue to his alleged intentions on his Facebook Monday morning when he wrote, "First day of school, last day of my life." On his page, he lists his employer as "The Manson Family" with the description "murder suicide." 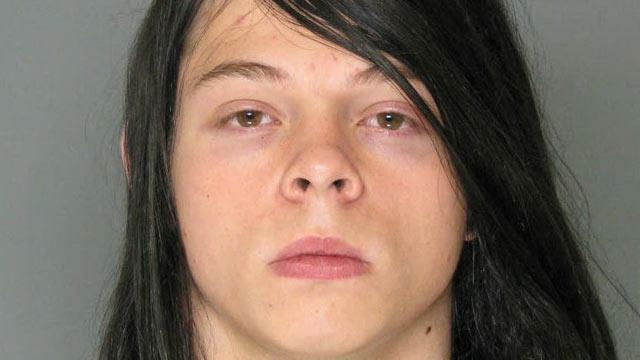 Hours later, police said, he twice fired a shotgun in the school's cafeteria. Although Gladden's father told the Associated Press Monday his son was bullied, police do not believe that was a factor in the shooting. "We are aware that there are many reports that the suspect was a victim of bullying," Johnson said. "We cannot confirm those reports. Robert Gladden's conversations with investigators have not indicated bullying was an issue in this case." Gladden does not have a lawyer yet, according to the State's Attorney's office. He has a preliminary hearing set for Sept. 7. Gladden brought a disassembled, double-barrel shotgun to school with him Monday as well as 21 rounds, Johnson said. The gun was taken from his father's home and was a legal-length shotgun manufactured before 1968. Police have not confirmed that the gun was registered to Gladden's father or that he knew it was missing. No charges have been made at this time regarding Gladden's access to the weapon. Gladden also brought a bottle of vodka to school and took several sips, but investigators do not believe he was impaired or intoxicated, Johnson said. It was a fairly normal start to the first school day of the year for Gladden. He rode the school bus and went to his first and second period classes. But before heading to the cafeteria for lunch, he stashed a black book bag containing the disassembled weapon in a bathroom near the cafeteria, Johnson said. At 10:45 a.m., while in the cafeteria for lunch, an object was thrown near where Gladden was sitting, but police do not believe this had anything to do with the shooting. The students who threw the object had left the cafeteria before Gladden departed and returned with the assembled shotgun, concealed in his clothes. He then randomly fired one round into the cafeteria, hitting Borowy in the back. Borowy was flown to Baltimore Regional Hospital Shock Trauma where he remains in critical condition, officials said today. "On Monday, Aug. 27, 2012, our son, Daniel was critically injured on his first day at school," Borowy's parents said in a statement to ABC affiliate WMAR. "We would like to personally thank school personnel who quickly responded, getting Daniel to safety. We would also like to thank Baltimore County EMS, Baltimore County Police and the Maryland State Police who quickly transported Daniel to the R Adams Cowley Shock Trauma Center in Baltimore where he remains in critical condition. We would like to ask the public, our family and friends to respect our privacy at this time and keep Daniel in your thoughts and prayers." Jesse Wasmer, a school resource officer, was in the back of the cafeteria at the time and immediately ran to Gladden when he heard the first shot, Johnson said. As students sprinted out of the cafeteria, he struggled to restrain Gladden when another round was shot into the ceiling. The school was placed on lockdown and evacuated. Gladden is undergoing a mental health evaluation at a hospital, Johnson said. "We are horrified. We did not see this coming and our thoughts and prayers are with the victim and the victim's family," a woman, who identified herself as related to Gladden's father, said in a statement on the family's behalf to the Associated Press Monday. During the investigation, officials searched the home of Gladden's mother and stepfather, Andrew Piper. During that investigation, Piper, 43, was arrested and charged with illegal possession of firearms and possession of marijuana. Students returned to school today with heightened security. Perry Hall High School students have started a Facebook page titled "Thanks Mr. Wasmer" to honor the school resource officer who restrained Gladden from shooting more students. "Thank you sooo much Mr. Wasmer we all think you are a hero today!" the page says. "Very brave!!!! Thank you is certainly not enough. My son was at school today and I am fortunate enough to have him with me now. Because of you, many more can say the same thing," one comment said.